A completely revised and expanded text about the newest Schroth practices, based on the 3rd edition of the German ‘Befundgerechte Physiotherapie bei Skoliose’, Pflaum, Munich. Currently, there is the highest level of evidence for physiotherapy and bracing for scoliosis. In contrast, evidence for spinal fusion surgery remains questionable. Moreover, recent improvements in bracing now strive to improve curvature rather than merely stopping progression during the pubertal growth spurt. Adolescent patients can potentially achieve significant corrections via bracing and improve postural imbalances. Pattern-specific exercises, based on long-established Schroth methodology, have also been updated. Used during phases of significant growth velocity, patients have potential for improvement without surgery. ‘Original Schroth’ exercises, developed by Katharina Schroth, were initially for curvatures in excess of 90º. 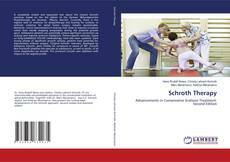 Schroth Best Practice® simplifies the exercises so adolescents, as well as adults, of all curve magnitudes can benefit. The protocols include new additions with respect to the sagittal profile.